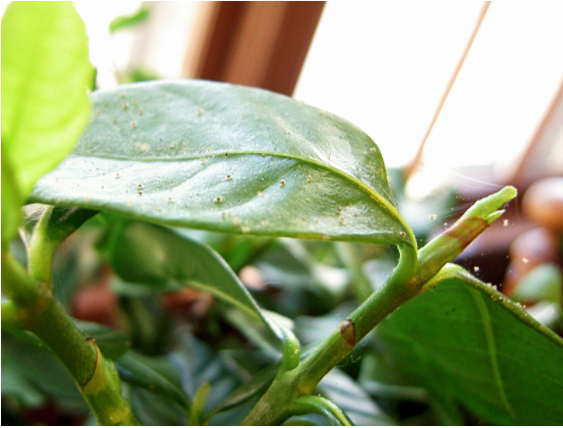 Spider mites attack a large variety of plants. They are found on the underside of leaves. They flourish in hot, dry conditions like those found in Las Vegas. They are very small and hard to see without a magnifying glass. One method to detect them is to hold a white sheet of paper under a branch and shake it gently. If mites are on the tree they will fall off and you will be able to see them easily. Spider mites need to be treated with a pesticide. A tree service can help identify the best treatment for your particular infestation. A professional tree service can help identify any insects on your trees and help treat for them. If you are in the Las Vegas area and have any questions please contact Nevada Tree at 702-433-4700.